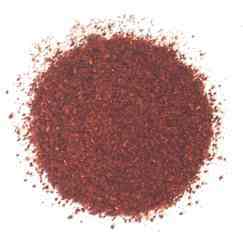 Paprika is made from special kinds of sweet red peppers, which are dried and ground. Varieties include the highly regarded and sweet Hungarian paprika = rose paprika = sweet paprika = Hungarian pepper and the cheaper and more pungent Spanish paprika = Spanish pepper = pimentón = pimenton. Cookbooks that call for paprika are usually referring to Hungarian paprika.